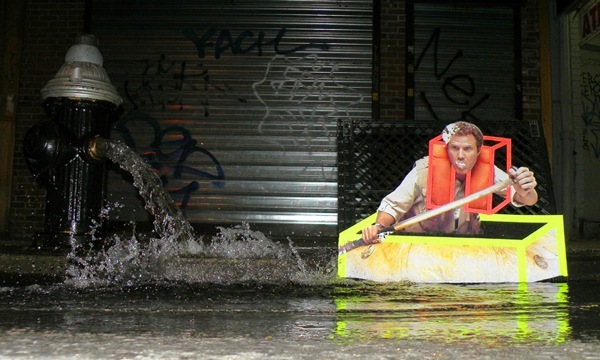 In December 2014, Posterboy attempted one of their most bold installations yet. He was in Lima, Peru. It was election season. And just a few months before, a prominent environmental activist had been brutally murdered. Edwin Chota was killed by illegal loggers, who operate with impunity in the Amazon rainforests of Peru. Chota had been on a campaign to kick out the illegal loggers and reclaim the lands for the indigenous people of the area. After being repeatedly threatened by loggers and having those threats ignored by the authorities, Chota and three other men were killed for their activism. 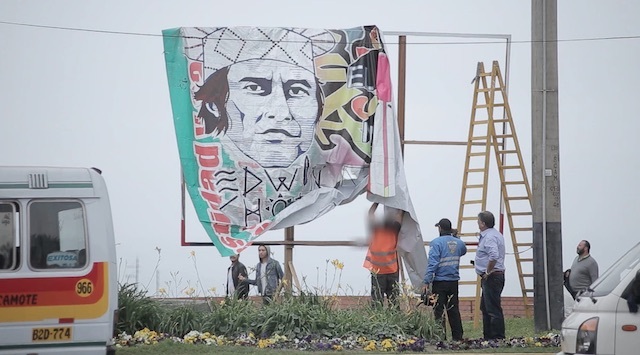 When Posterboy was in Peru, he heard Chota’s story, and decided to respond in the best way he knows how: A billboard. Cannon Dill thought he was painting a legal mural in Portland. Not so, thanks to annoying mural regulations that made the piece illegal. Now the piece has been buffed. Is this a portrait of me? Because I’m actually about to go play golf, seriously. The latest episode of Jowy Romano’s podcast is an interview with Poster Boy. It’s well worth listening to. Gris1 getting up in Brest. Here’s a really nice video of Ripo and SheOne painting all over an abandoned factory outside of Barcelona. Portrait by (I think) Thierry Ehrmann at the Abode of Chaos. Photo by Thierry Ehrmann. 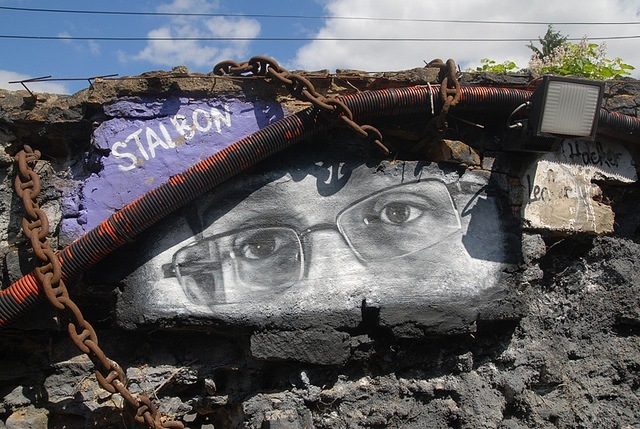 There’s been surprisingly little street art or graffiti about Edward Snowden, the patriot who leaked information to the press about the NSA’s massive internet spying programs. 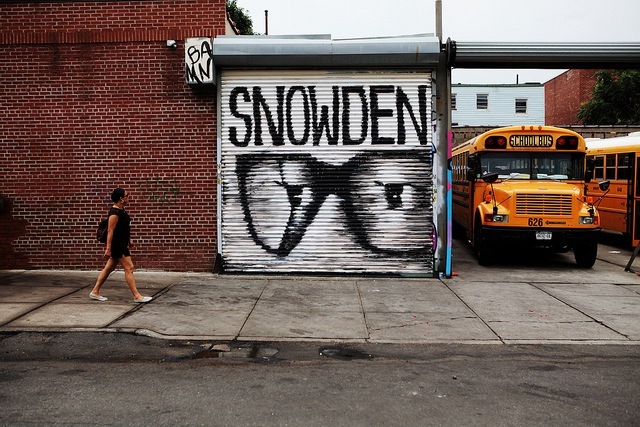 I would think that street artists would jump at the chance to make art in solidarity with Snowden, but so far that hasn’t been the case. The two pieces here by Thierry Ehrmann aren’t even on the street in the sense of being placed in truly public view, they are in his outdoor museum Abode of Chaos. I also found work by PosterBoy, Bamn and Eclair Acuda Bandersnatch. There was also this projection in Berlin, but I guess I’m looking more specifically for street artists who are taking up the cause. Eclair Acuda Bandersnatch. Photo by Steve Rhodes. Bamn. Photo by Jamie NYC. This is what I’ve been able to find so far. 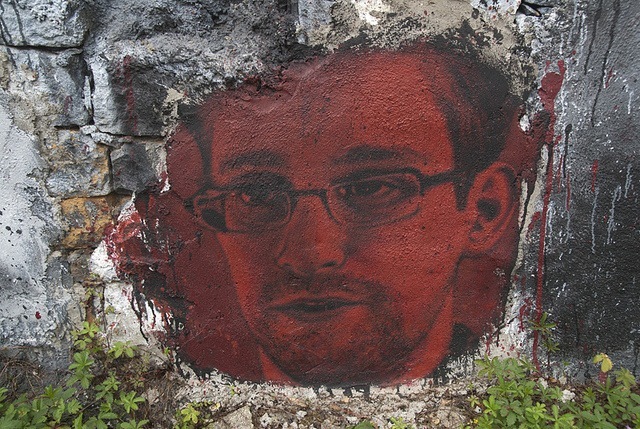 If you know of more Snowden-related street art or graffiti, please let me know in the comments section of this post. Détournement: Signs of the Times is a group show that just opened at Jonathan Levine Gallery in NYC. It was curated by the legendary Carlo McCormick and features artists who “subvert consensus visual language so as to turn the expressions of capitalist culture against themselves.” Some of those artists in Détournement are Aiko, David Wojnarowicz, Ripo, Posterboy, Ron English, Shepard Fairey + Jamie Reid, Steve Powers, TrustoCorp and Zevs. Chris Stain and Joe Iurato are showing together for a two-man show at NYC’s Mighty Tanaka. The show opens on Friday. 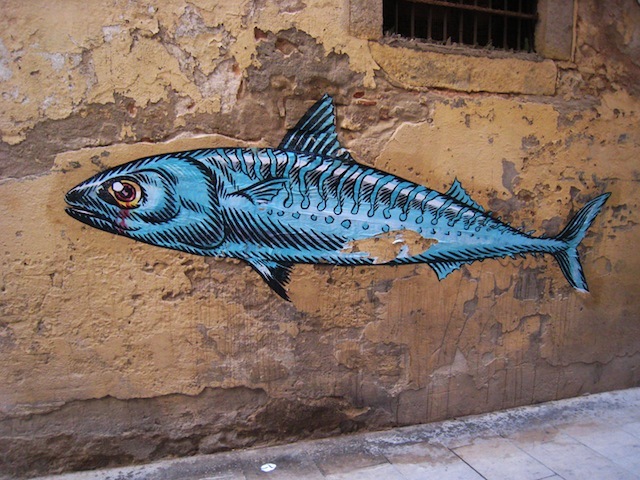 These are two great and underrated stencil artists. I highly recommend checking out this show, particularly given the superb quality of Stain’s recent indoor work. Sweet Toof has a solo show opening this week at High Roller Society a pop-up space in Hackney Wick, London. Contemporary Wing’s (Washington, DC) latest group show, opening on the 16th, is an exhibit of secondary market work, but there should some nice stuff, including work by Shepard Fairey, WK Interact, Gaia, Faile and Blek le Rat. I must admit that I’ve included a piece in this show, but I’m not going to say which one (so if you want to help me out, just buy the entire show…). Finally, Dabs and Myla have curated a show at LA’s Thinkspace Gallery which will open September 1st. In addition to their own paintings and installations, the show features 32 of their friends, plus a solo show in Thinkspace’s project room by Surge MDR. Those shows open September 1st. Yesterday RJ and I got sent this video of a a mural being put up in Sydney sponsored by Lipton Iced Tea. Despite tagging over some work already put there, the mural isn’t half bad. Apparently this is part of an ongoing series sponsored by the brand to create urban art projects in Australia while showcasing their partnered artists talents. 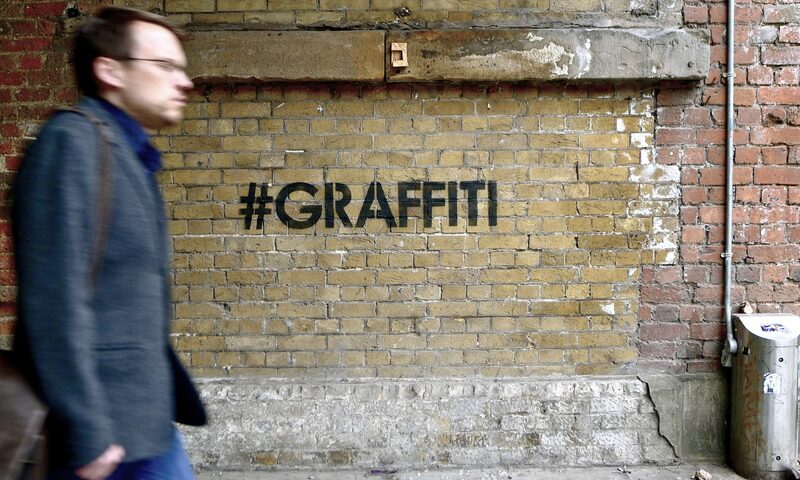 It’s no secret that art and advertising have been hand in hand ever since graffiti style became popular in the early 1980’s. 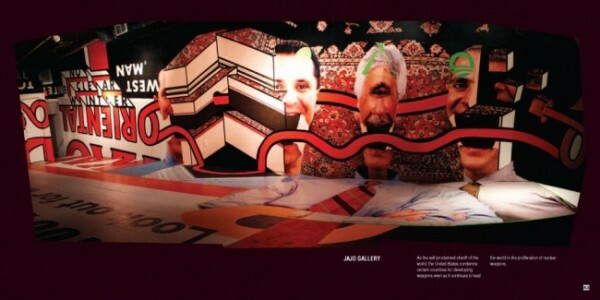 But where is the line drawn between advertising art and art for advertising? And as such, can the work stand on its own as an entity to be appreciated or is it less appealing because it has brand association? 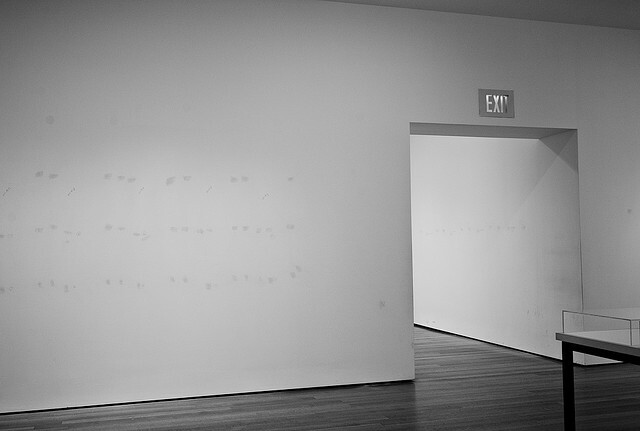 The video led us to further question other examples of this practice in the past and how audiences reacted to the works. I can think of several just near my flat alone- Tron Legacy painted ad on Great Eastern Street and the large scale Converse painted ad that went over the Eine piece on the Village Underground. 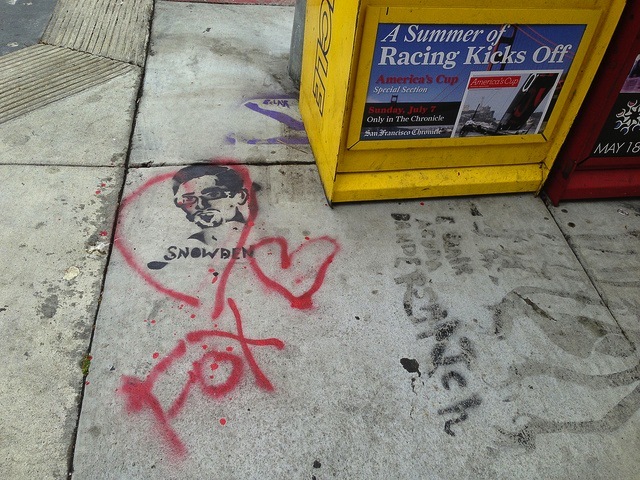 Last week Vandalog posted about the annual Supreme paste ups depicting a celebrity photographed by everyone’s favorite “alleged” model molester, Terry Richardson. This year it was Lady Gaga who graced the streets of cities and my Tumblr dashboard as the photograph went viral. An annual event though, these flyers usually get bombed on their own by artists. In their own right, these photographs are artworks and can stand next to any Rankin or Chapelle portrait. But does the added connotation of being associated with Supreme lessen its artistic value? 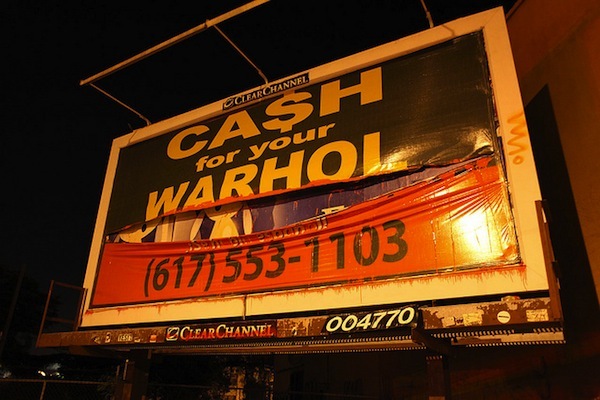 And what about artists like Faile and Poster Boy and Aakash Nihalani who amended the Lou Reed Supreme ads? Are those also further removed from the brand because the artist chose to alter the ads of their own volition? I just wanted to put this idea out there and would love to hear what you guys think. El Celso isn’t the only artist who is experimenting with Peru’s unique Chica style of posters, a style pioneered by the Urcuhuaranga family in Lima, Peru. 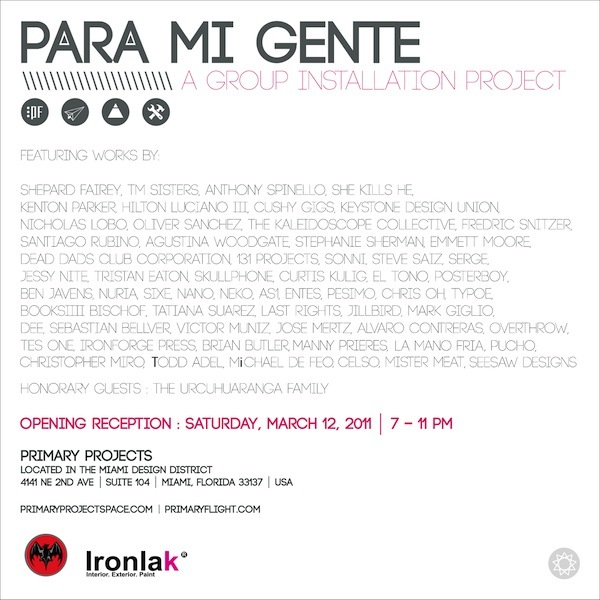 In Miami, Primary Projects have a group show opening this Saturday in homage to Chica posters. 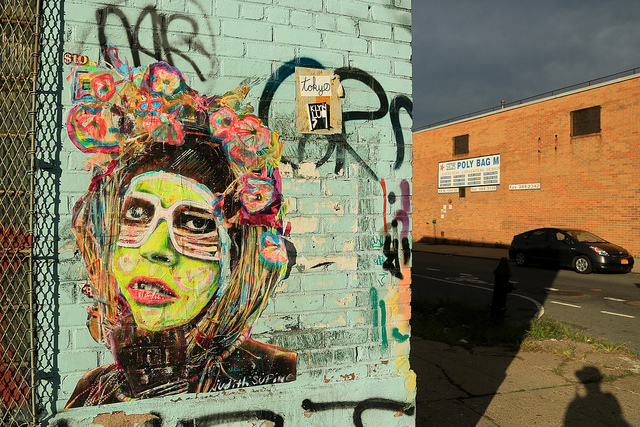 For Para Mi Gente, more than 50 artists have contributed designs to a Chica-style collaboration. Shepard Fairey, El Celso, Tristan Eaton, Skullphone, Posterboy, El Tono and others have sent designs to the Primary Projects crew who will combine all these designs by hand painting them throughout the gallery. The artists have little control over how their designs will look on the walls, where they will appear, or next to what. This sounds like a pretty unique and risky show. It should look cool, and it will definitely mess with the standard notions of what gallery art should be and look like. 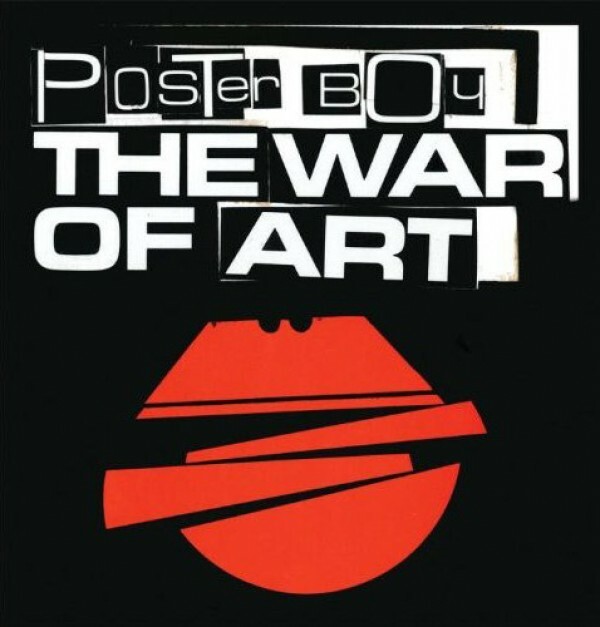 On July 27, Poster Boy will release a retrospective of his work in a published book entitled, The War of Art. Known for his advertisement mash-ups in city subways and streets, Poster Boy’s book will feature an array of his work thus far. The book is broken into three parts including his ad alterations, collaborations and odes to other street artists, and exhibition work. 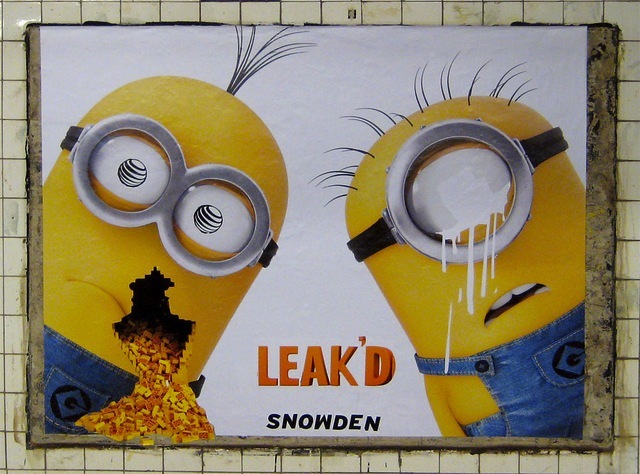 I am personally really excited to see the sponsored MOMA ad campaign altered pieces that caused so much controversy in NYC subways on whether it was vandalism or not. Read a great review of the book here on Subway Art. 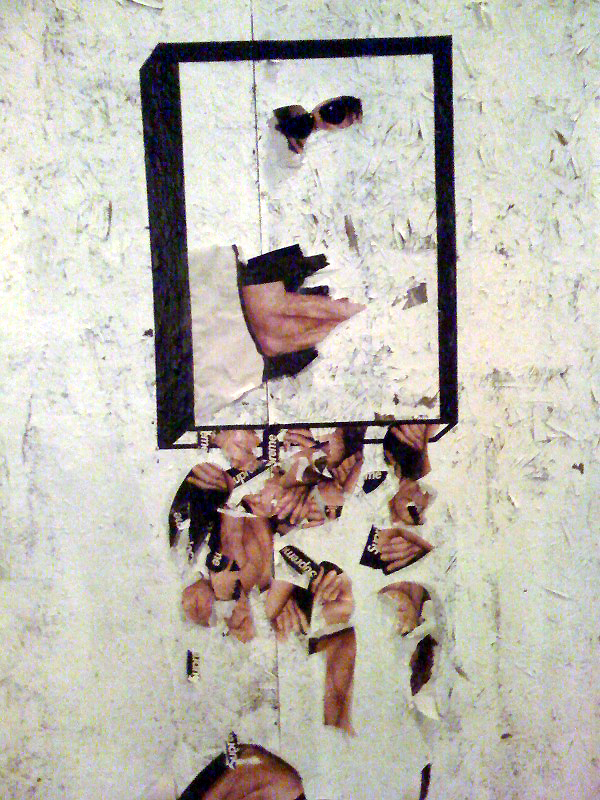 Poster Boy is still thought to be one person, but rumors circulate that it is actually a NYC collective, since his work still appeared after his arrest and sentencing. I’m loving this latest Aakash Nihalani Poster Boy collaboration.